June 27th 2007: In this rematch of the 2006 NLCS, the First place New York Mets (43-33) under Willie Randolph, faced off against Tony Larussa's reigning World Champion Cardinals. The Cards were 10.5 games out of first place at 34-41 at this point. 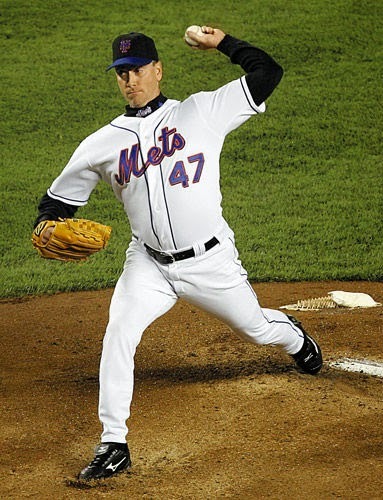 Tom Glavine (6-5) went up against Anthony Reyes (0-9) to an excited Shea Stadium crowd of 40,948. 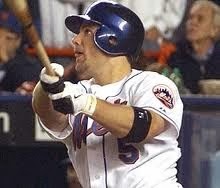 The Mets started off scoring right away, in the 1st inning Paul Loduca singled,& with two out, David Wright blasted a two run HR. It would be all the Mets needed in the 2-0 win. Tom Glavine, gave up a 2nd inning single to Scott Rolen which would be the only hit he would allow. The rains came down & shortened the game after six innings. It was an official game as the Mets won it 2-0. In six innings, Glavine allowed no runs, on one hit, three strike outs & two walks for his 7th win of the year (4.12 ERA). It was the 30th one hitter in Mets history. The latest one since the September 3rd, 2006 combined one hitter by; Orlando Hernandez, Roberto Hernandez, Darren Oliver & Guillermo Mota. He finished the year at 13-8 with a 4.45 ERA.